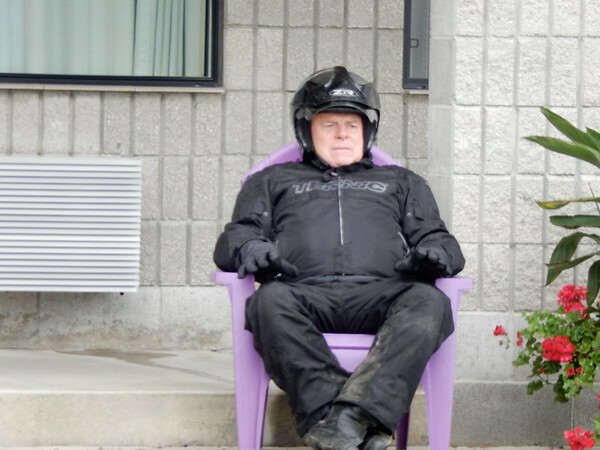 Discussion in 'Ride Reports - Day Trippin'' started by canadasax, Sep 14, 2018. 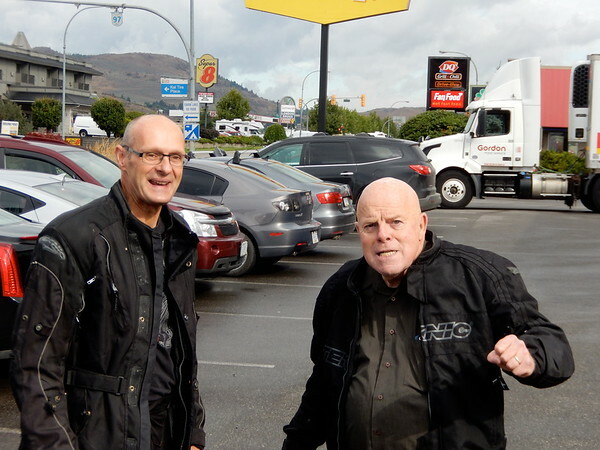 Three of us old guys from British Columbia headed out on a Hot Spring tour. We have 2 KTM 950's and 1 KLR 650. This should be fun. 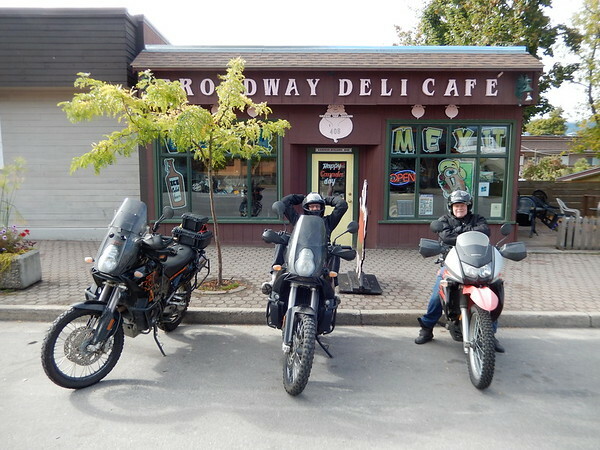 We made it about half an hour down the road to Vernon BC and it was time for breakfast. We made a few plans and told a few stories over our meal and then it was time to hit the road. 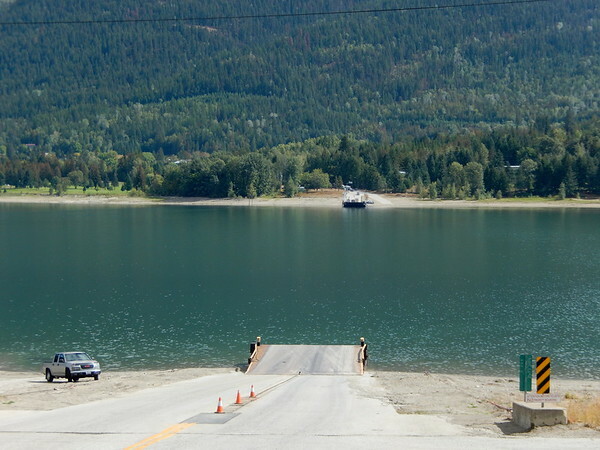 We have to cross the Lower Arrow Lake at Needles on a free cable ferry. And of course, the scenery is fantastic. 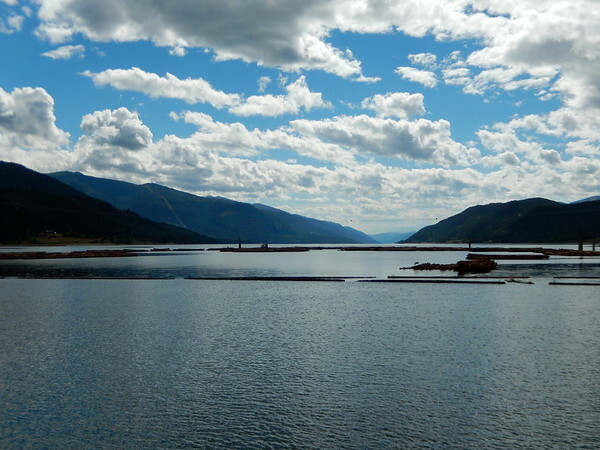 Our destination for the day was Riders Retreat in Nakusp. 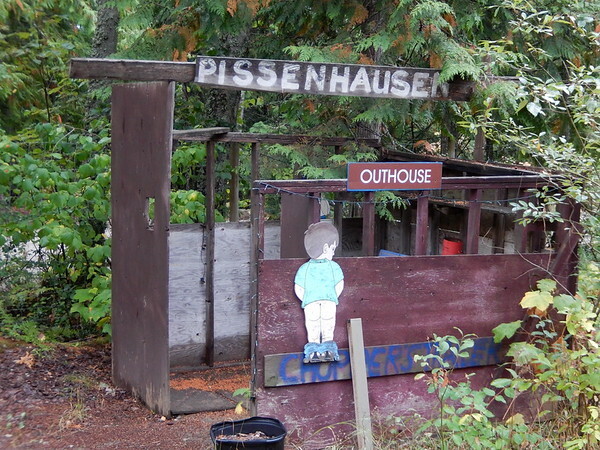 I had reserved the trailer for our accommodation, which, in hindsight, I probably didn't need to do. We were the only ones on the campground. They supply all the bedding and everything you need to have a great nights sleep. 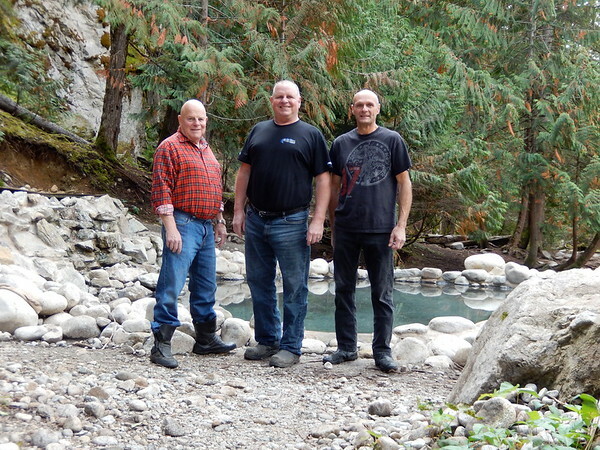 Of course, before we even thought about going to sleep, we had to check out the Nakusp Hot Springs. 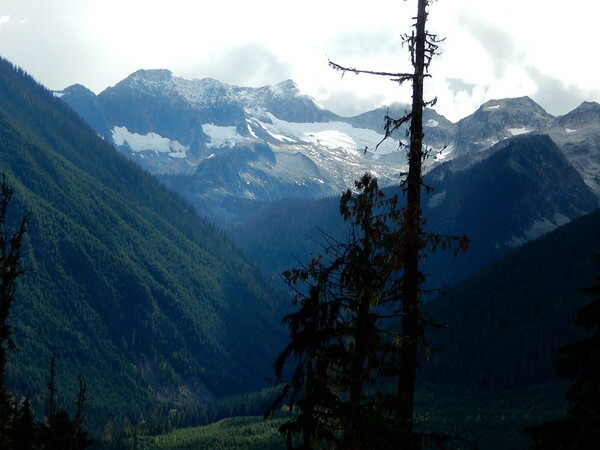 I love this part of BC. The scenery is always spectacular. 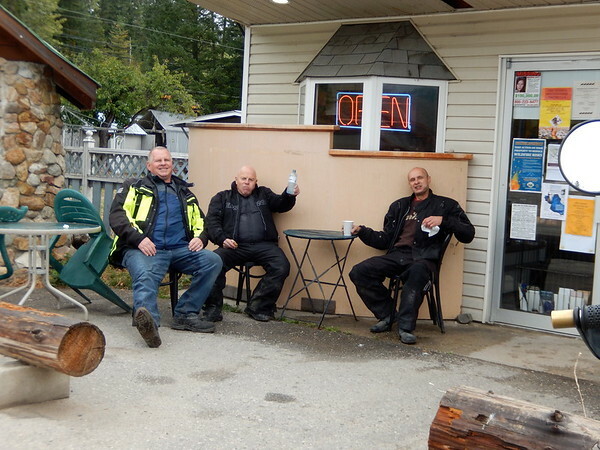 We found a very tasty breakfast spot in Nakusp after a great sleep in the campground. 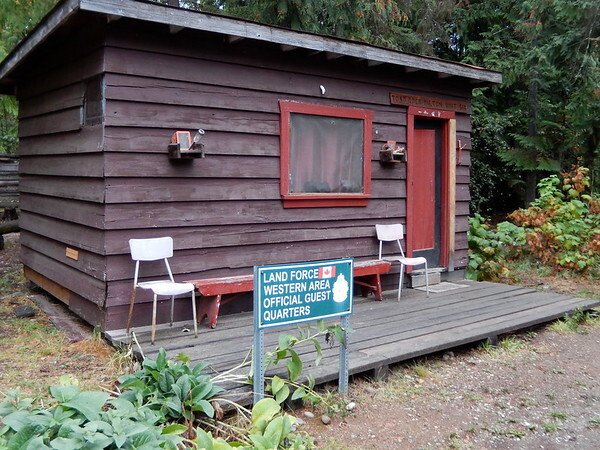 Years ago I had been up to a Hot Springs up a forestry road, and I heard that they had fixed it up, a lot. 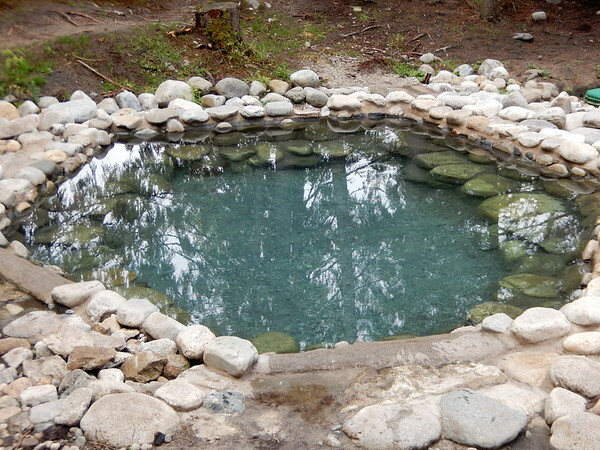 Time to check out Halfway River Hotsprings! 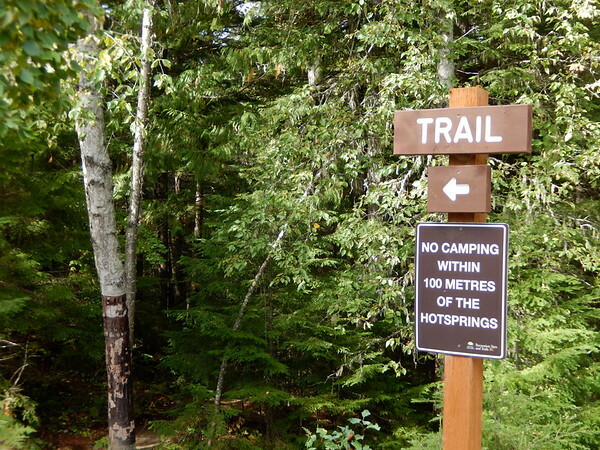 They have made a campground up there and made a parking area for day use. There is a nice little path heading down to the river and the hootpools. 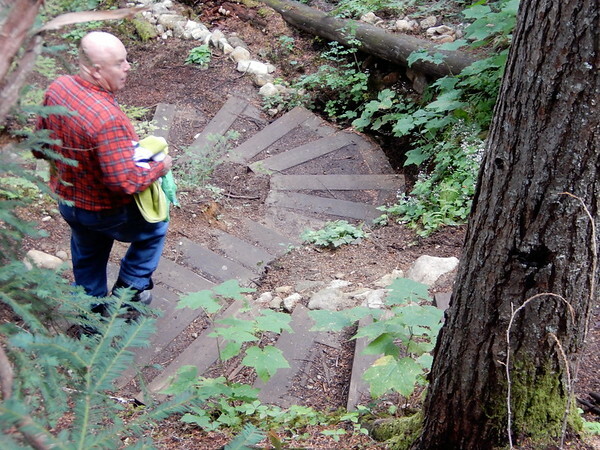 The trail down used to be very steep, but they now have put in stairs. The pools are very nice, they have done a lot of work fixing the area up. We soaked in the hot pools for an hour or so, before making the hike back up the cliff to the parking lot and our bikes. That soak sure did feel good. 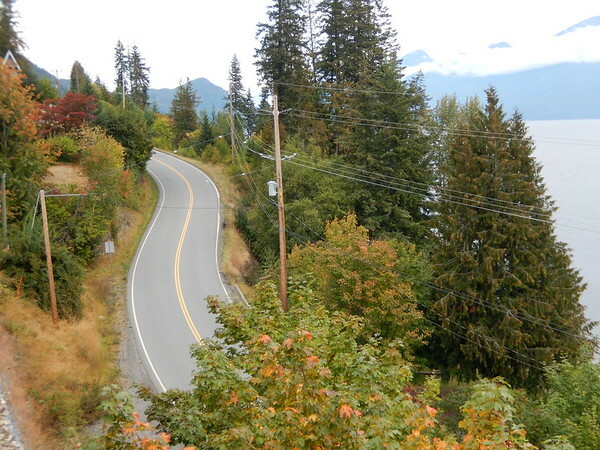 We headed north-east towards Trout Lake and one of my favorite motorcycle roads. The gravel section of Hyway 31. 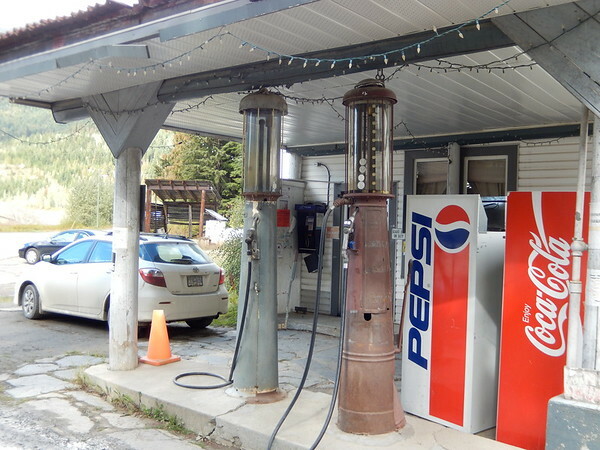 If you come through here make sure you stop at the general store and gas station. It will take you back in time, way back in time. That pump is cool, you pump as much fuel as you need up into the glass section and then it gravity feeds into your bike. 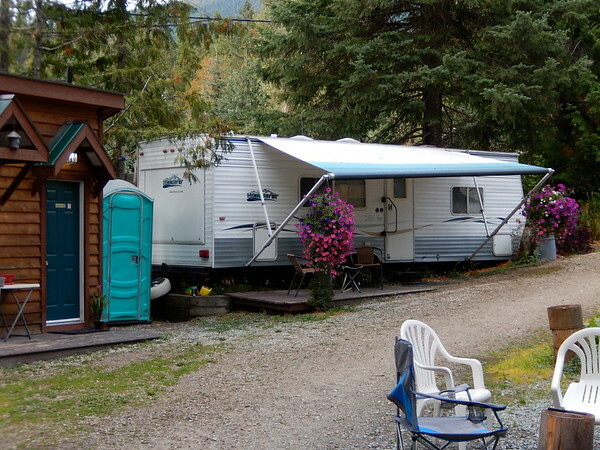 Our destination for the night is Toad Rock Motorcycle campground, just south of Kaslo. I had been avoiding this place for years, because I thought it was too "cruiser" orientated. I was wrong. All the bikes in there were adventure style bikes this time. Mary set us up in the "Hilton" and even though it was raining a bit at this point, we had a great time. I fell asleep thinking of twisty roads and majestic mountains, again. It was a good second day. I made breakfast for everyone on the third day. 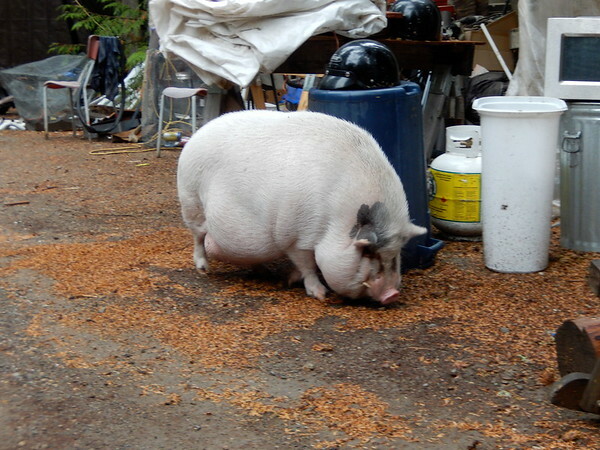 You could have anything you wanted as long as it was oatmeal. 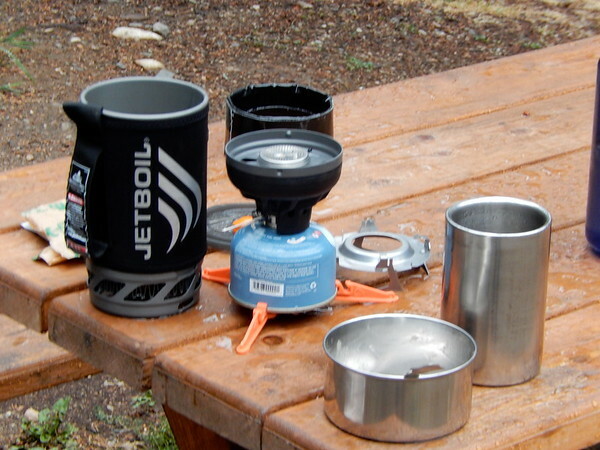 The campground supplied the coffee. 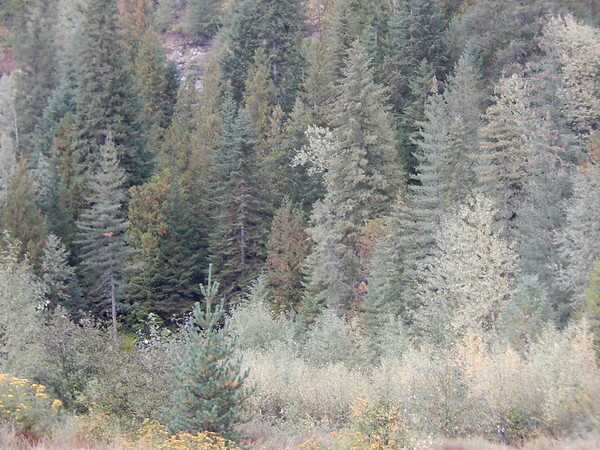 After a hearty breakfast, we headed down the road a few kilometers to Ainsworth Hot Springs. 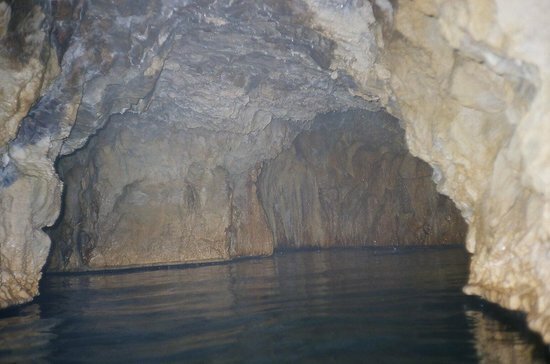 The cool thing about this Hot Spring is the natural cave where the source of the hot water comes from. You can wander through this cave and come out the other side. It is like a hot pool and sauna all in one. It is worth stopping in here if you have never seen anything like this. Of course the scenery is great! 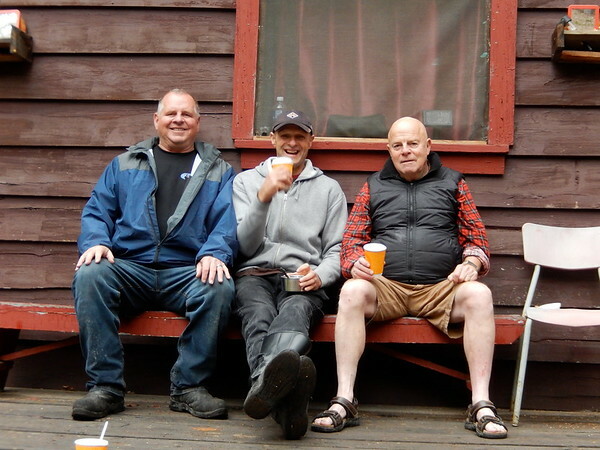 After a good soak in the hot springs it was time for a coffee break. 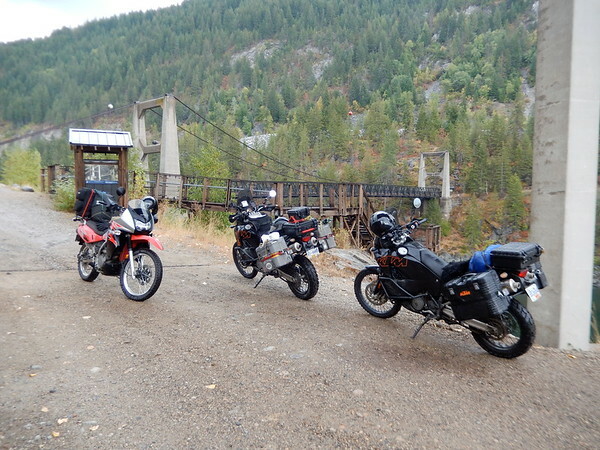 We headed west toward Castlegar and we found the old Brilliant Suspension Bridge. 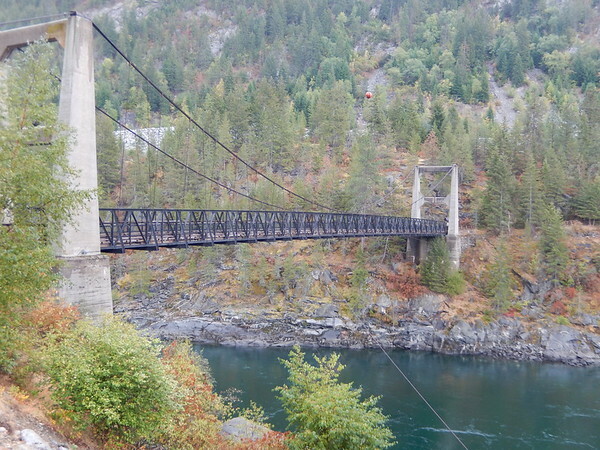 This bridge was built in 1913 by the Doukhobors. Another very cool piece of history most people drive right by and never check out. 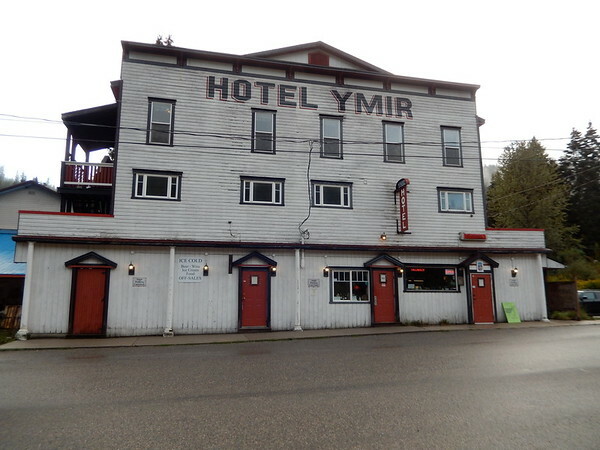 Our destination for tonight is going to be Ymir and the old Ymir Motel. I have a "thing" for old hotels and this one was just right. Again I fell asleep thinking about winding road and majestic mountains. It was a good third day. Scotty707, eaglescan, B10Dave and 1 other person like this. It was raining when we finally got going on the fourth day. We decided to make a run for it and have breakfast in Trail. We arrived at the breakfast spot soaked. After a nice breakfast and a chance to warm up a bit, we continued on, headed for home. The rain quit, and the sun came out, and we had a great last day. As I fell asleep at the end of the fourth day, I was thinking about winding roads and majestic mountains. Great pics and write-up @canadasax! 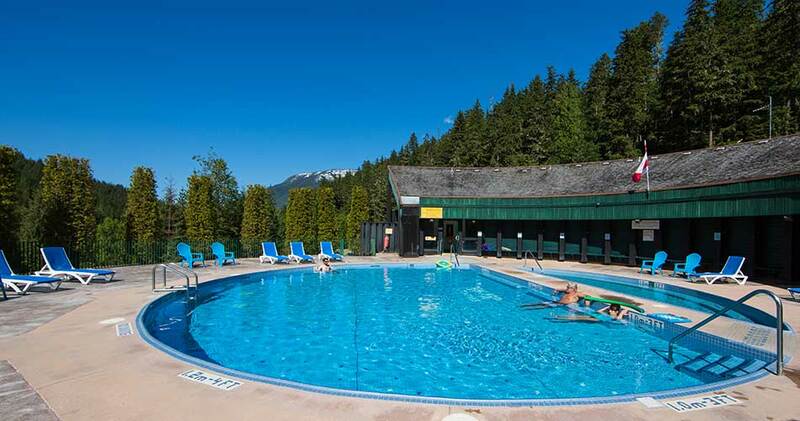 There's nothing like ending a day in the saddle with a soak in hot springs . 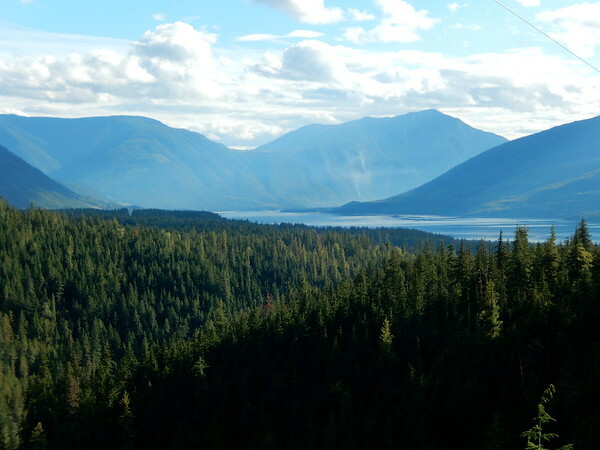 The scenery of BC is fantastic, have ridden up there a couple times and really like it. 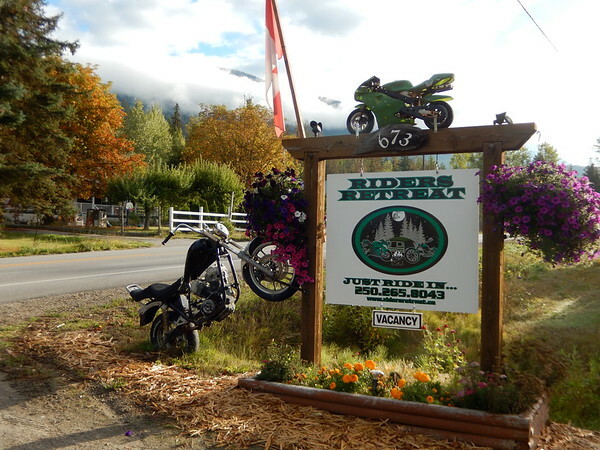 Good on you for getting out with your friends for a 4-day rip; the bikers camp your first night is sweet - the signage is fantastic. 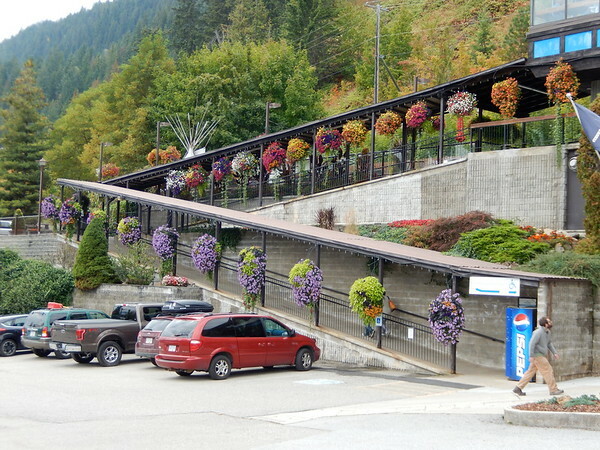 Great idea for a trip... hot springs tour, nice. Glad you enjoyed toad rock... I stayed there for the first time last year... what a place... gold wings, Harley’s, sidecars, and a couple of RTW adventure riders... great conversations were had that weekend.